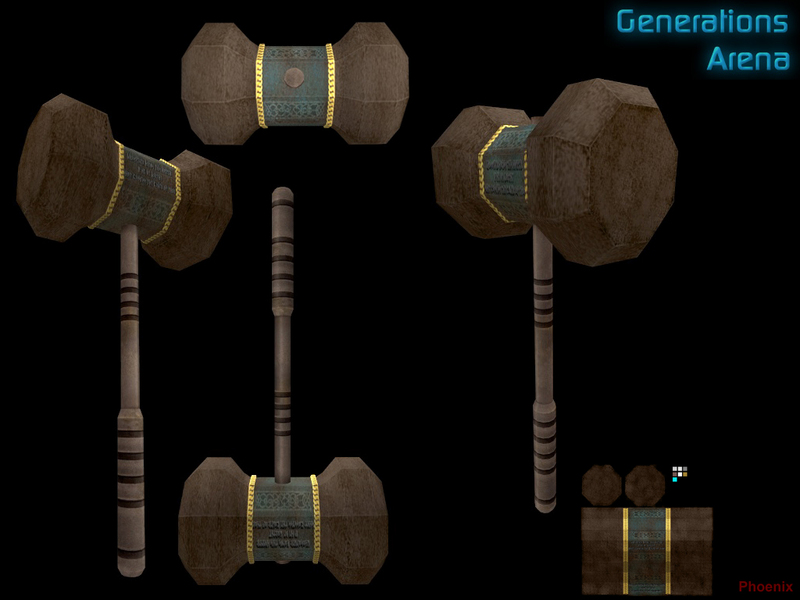 Description : This mystical hammer was once wielded by the Norse god Thor before being replaced with a smaller, more compact version. It unleashes a furious storm of lightning when slammed into the floor. To do this it draws power from anything electrical nearby. Since you're no god of thunder your energy cells will have to do. If you don't have any it can still deliver a punishing blow to whatever foe you face. Don't go smacking puddles with it unless you want a one-way trip to Valhalla. Shares cells with the Thunderbolt and Laser Cannon. Special Features: Lightning hits multiple targets over a short time. Weapon will short-circuit if fired under water, consuming all ammo and inflicting severe damage to anything nearby.